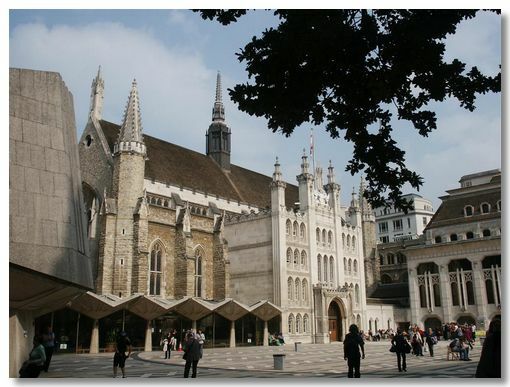 The 15th Century Guildhall is the seat of the local Government of the City of London. The precinct has a large oval black marking across the pavement that you can just see in this photograph. It is the outline of the Roman Amphitheatre that is now buried underneath, which you can partially see from the basement of the adjoining Guildhall Art Gallery. Well worth a visit in its own right. The Great Hall looking West. 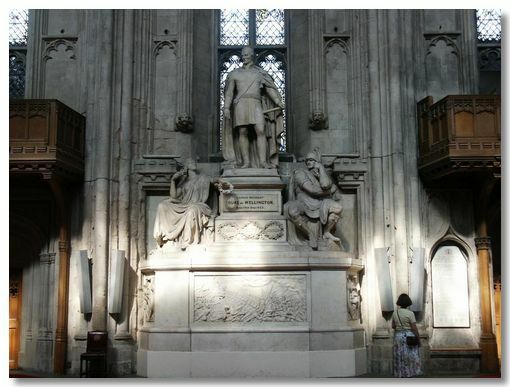 To either side of the Musician's Gallery at the far end are statues of the mythical Gog & Magog giants. 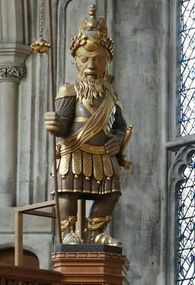 They represent the legendary ancient Britons who were defeated by the exiled Trojans who founded Albion's capital city - New Troy; i.e. the city of London. 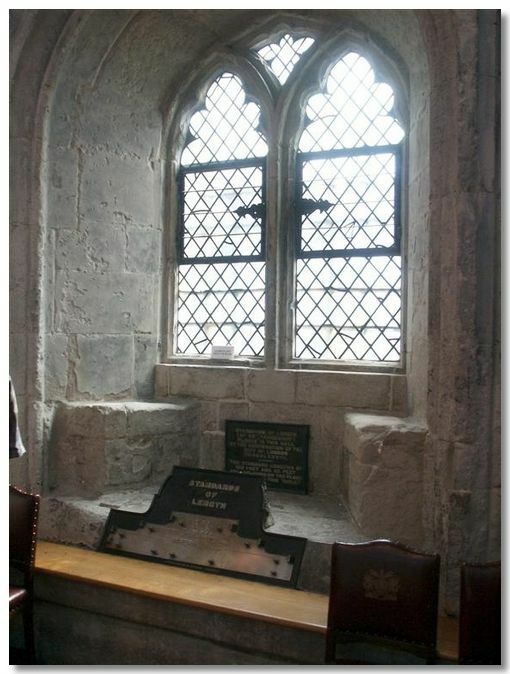 Most of the original windows were destroyed in the Blitz, however, this one luckily survived. Its not glass in the window panes, but thin translucent shells. Beneath are the official British measurements of standard lengths; the foot, yard, etc. 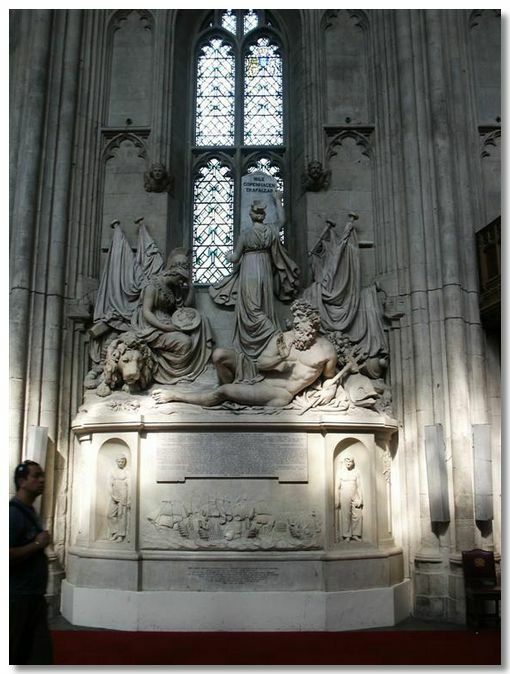 The Victorians loved erecting memorials to famous Britons to boast of their - & the country's - glory. 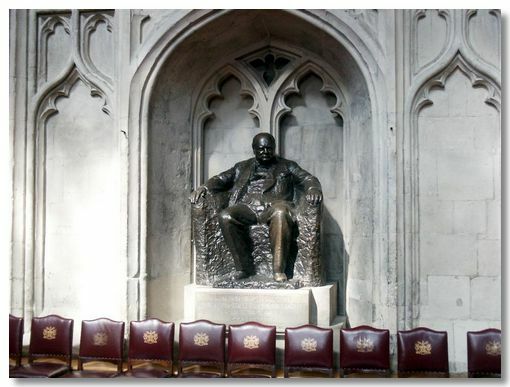 Winston Churchill gets a relatively modest statue rather an ornate memorial. The original 200-year old library was purloined by Edward Duke of Somerset in the mid 16th Century to stock his own library. 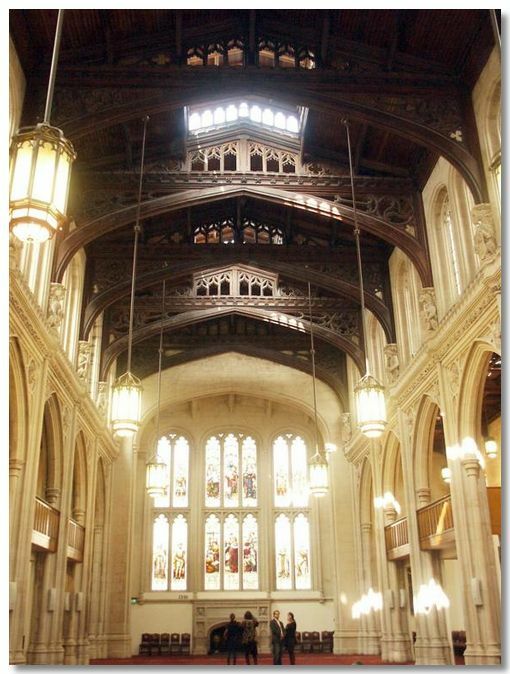 The Victorians belatedly addressed this misdemeanour by building this grand library space & restocking it again. 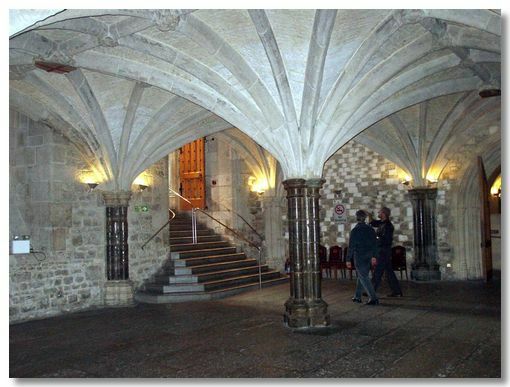 The largest Medieval Crypt in London is beneath the Great Hall. The vaulting though is new. 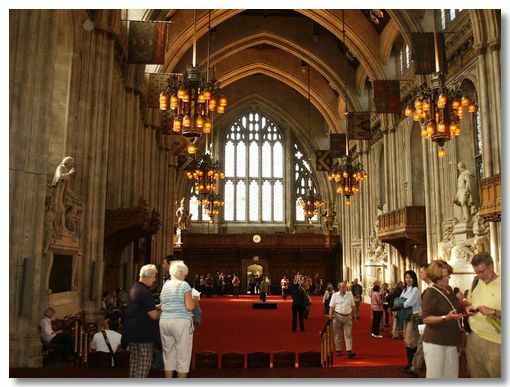 The Guildhall has its own website.